Building on the Solid core principles of it's predecessors, Cinnamon adds 1.25% silver plating encased in High-Density Polyethylene Insulation and precise geometry. Designed to maximize performance of HDMI, Audioquest's cables push sonic performance to new levels. Strand-Interaction distortion is eliminated using solid Conductors. 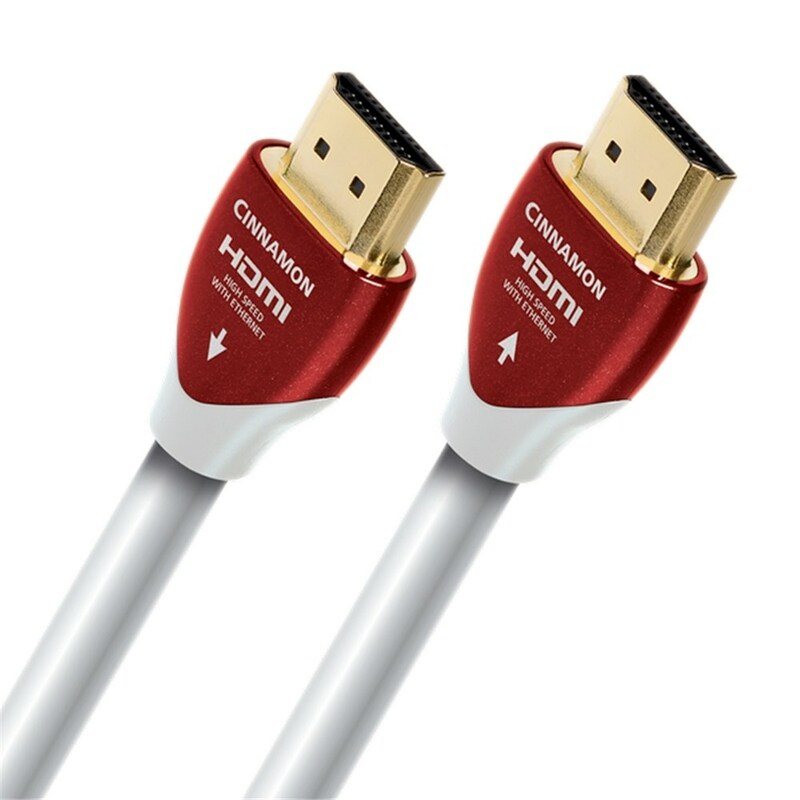 Cinnamon's Solid Silver-plated conductors reach new levels in signal transfer performance for High-frequency applications like HDMI audio and video. High frequency signals like these travel almost exclusively on the surface so Cinnamon's high-purity silver coating can take full advantage of the conductors and give performance close to that of solid silver cable. Cinnamon's design is an incredibly cost effective method of manufacturing ultra high-quality cable at pricing to compete with standard solid copper rivals. Imperfect circuits are created when any solid material is adjacent to a conductor. Circuit board materials and wire insulation all absorb energy (loss) and when this energy is trapped, it's later released as distortion. Utilizing Solid High-Density Polyethylene Insulation, Audioquest cables ensure critical signal-pair geometry while minimizing insulation-induced phase distortion. All Audioquest HDMI cables are capable of transmitting 100% of the data required for all current Audio/Video features up to 10 Meters including multichannel high-resolution audio, 1080P and 4K Video, 3D video from Blu-ray and audio return channel functionality. All cables meet or exceed the 10.2Gbps Max data rate and are therefore citified High speed with Ethernet capable up to 10 Meters. All 120Hz/240Hz/600Hz displays are fully supported. All audio cables are directional. Every batch of metal conductors used in the Audioquest construction process is acoustically tested to ensure correct direction is applied to all cables. Audio return channel conductors are carefully laid in the opposite direction for the best performance in this application and arrows clearly mark the connectors for easy hook up.